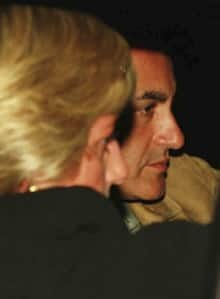 The World Needs A Stronger Blog...: MI6 On Princess Diana Death: "It Wasn't Me"
MI6 On Princess Diana Death: "It Wasn't Me"
The former head of MI6 has finally publicly denied any involvement in the car accident that killed Princess Diana and her boyfriend, Dodi al Fayed, back in 1997. Sir Richard Dearlove, the director of special operations for Her Majesty's Secret Service at the time of Diana's Paris accident, testified at the inquest into the pair's death that he also believes an operation by rogue agents would have been impossible. Dodi al Fayed's father, Mohamed Al Fayed, had accused MI6 of engineering the death of his son and the princess at the behest of Prince Philip, Queen Elizabeth II's husband.